Used immediately outside a staff male toilet and change room. Please select Colours, optional Directional Arrow, Border or optional Toilet Symbol. 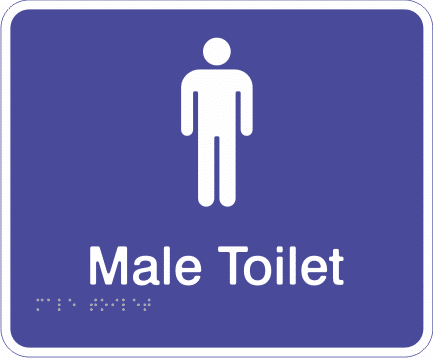 All toilet signs available with optional toilet symbol – additional costs incurred.